A spot of inclement weather or something a bit more? What a winter of rain, stormy seas, floods, high winds and property damage we had! If you’re from these isles, you’ve got to believe that climate change is happening and happening, now! UK records suggest that southern England had the wettest January in records going back to 1910 with the average rainfall being over 200% their long-term average. In fact, the historic Radcliffe Meteorological Station at Oxford University had January as having the highest monthly rainfall than any other winter month in nearly 250 years! The picture wasn’t that much different north of the border. Last December, Scotland recorded its wettest month ever. And the Met Office recently released its results, which confirmed what we all felt and knew already. The UK had the wettest winter since official records began in 1910. Across the pond, a giant winter storm, which created havoc on the East coast of the US, moved into Canada. 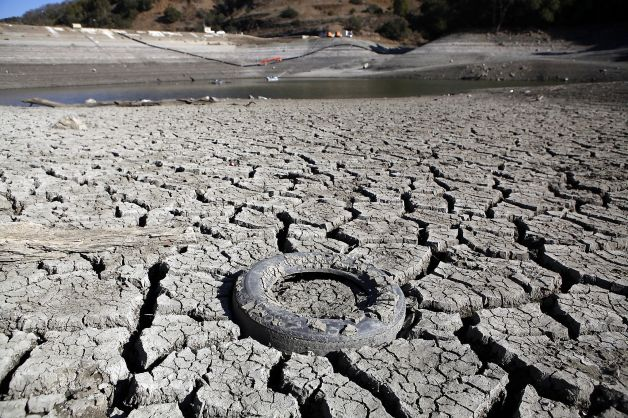 While California was into its third year of a record-breaking drought. Even Asia wasn’t spared. In February, Japanese media reported record snowfall while a monstrous storm, like an aerial tsunami, rolled over Sydney and unleashed more than 12mm of rain in March. We’re seeing records being smashed every where we look! One might argue that weather records, like sporting ones, are there to be broken. But not at the rate we’re now seeing and not, almost, everywhere you look! So, if you’re climate change agnostic, surely you must suspend your disbelief and get with the program. It’s happening, and it’s happening, now! And if the jet stream has shifted, as some believe, we’ll have to live with and get used to it pretty quickly. A few years ago, I wrote a well-received business case study that told the story of how Tesco used CRM, or Customer Relationship Management, to move from a pile it high and sell it cheap retailer to the UK’s best-loved supermarket brand both in market share and profitability. The agent of change for Tesco was the customer loyalty scheme, which rewarded Tesco’s frequent customers but also provided Tesco with a wealth of actionable customer information that drove both sales & profitability. The loyalty scheme was manifested through the Tesco Clubcard, which cardholders presented at the checkout to accumulate Clubcard points based on the value of their purchases, promotional offers and so on. Clubcard vouchers were then sent out periodically to members, which could then be used in store against purchases or could be used to buy the products of businesses that were Clubcard partners. This basic process still operates today with the addition that vouchers are now also stored in an electronic wallet where they can be applied against one’s online shop at tesco.com. So that’s generally how Tesco’s Loyalty Scheme works. Now, on my recent visits to my local Tesco store, I have begun to question the benefits of the Tesco Clubcard – to me, the customer! Because, like many thousands of customers, during their weekly or monthly shop, I have stood mid-store or at the checkout and groped my way through booklets or loose slips of vouchers or “money-offs” trying to determine if I had any that I could use. It’s not a nice experience and certainly is a frustrating one for me and for the customers, who ‘patiently’ wait, as I attempt to liberate those same vouchers from my wallet, only to find that they have either expired or are unrelated to the items I have in my shopping basket! Yes, Tesco vouchers do offer pounds of ‘savings’ but you have to be able to use them or make needless purchases to realise those savings. And then there are the occasions when I’ve shopped at Tesco but forgot my vouchers at home, which has happened quite frequently. Or the occasions when I just didn’t need to do any shopping and so the vouchers and ‘money-offs’ just sat in my wallet and expired! This made me think, is my Clubcard really benefiting me? Am I really getting full benefits of my custom at Tesco? Tesco is promising a lot of savings, but in reality, am I getting much less? And is Tesco really deserving of my loyalty or would I be better served shopping at price discounters, like Aldi or Lidl, or stores that promise every day lower prices, like Asda, and not vouchers, which are beginning to look more like the unwieldy ‘Green Shield Stamps‘, as far as I was concerned. At least I wouldn’t have to remember to bring my savings with me to the store to use them! First, let me point out that the use of an electronic wallet to store vouchers has, to some extent, eased my online frustrations. In the past, it used to irk me that I would receive vouchers that were only redeemable in store and were useless for an online shop. However, if Tesco really does want us to use these voucher in store, they need to invest in some tech that would allow their customers to dispense with these paper nuisances and select at the checkout the electronic vouchers they’d like to apply against their shop just like one can now do online. The online and brick-and-mortar experiences cannot be disjointed with one being half-hearted. No, I’m not talking about another smartphone app, as those of us without smartphones won’t benefit and the burden would be once again on the customer to realise full Clubcard savings. No, there needs to be some sort of touch-screen panel at the check out, which allows customers to view eligible vouchers and optionally apply them. Having such a system would remove the onus on the customer. Unfortunately, it won’t prevent vouchers from expiring but, at least, it would be a step forward and make Tesco shoppers once again feel that their loyalty is being fully rewarded. Want to know Tesco’s secrets of success? Well join more than 15,000 other people who read “Tesco: Every Little Helps”. That’s my case study that explores how #Tesco used #CRM to become the UK’s leading supermarket. A surprising result has emerged from the DNA sequence of a European hunter who perished in the north-west mountains of Spain some 7,000 years ago. 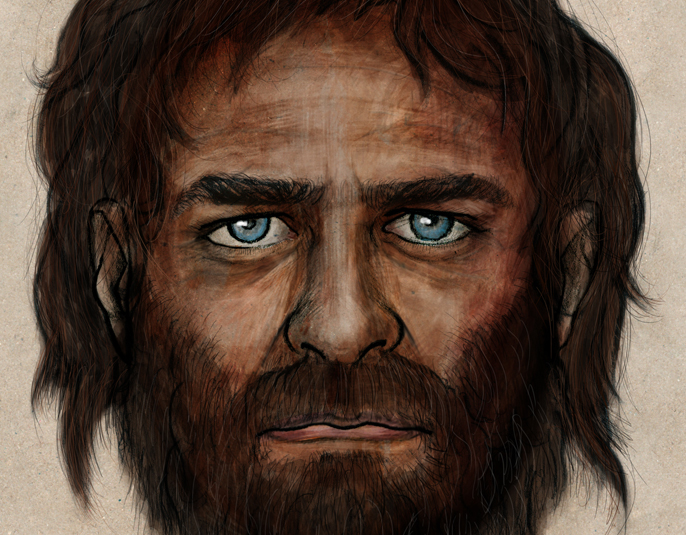 His DNA sequence revealed that early Europeans had blue eyes and dark skins as recent as 7,000 years ago. It was once commonly thought that homo sapiens, relatively soon after leaving Africa for the higher latitudes of Europe, became fairer through the need to synthesize vitamin D in their skin. This finding goes against that belief since “this guy has been in Europe for 40,000 years and he still has dark skin” explained Dr Carles Lalueza-Fox from the Institute of Evolutionary Biology in Barcelona, who was the lead author on the study. You can see a video of this early European, below. Please note that the commentary is in Spanish. 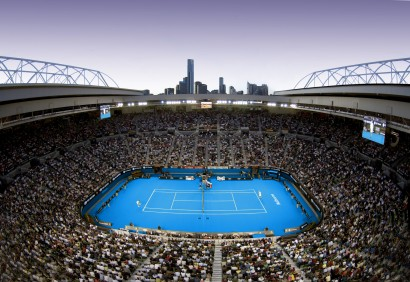 Check out this post on today’s Grand Slam final. Very inspirational! What a tremendously inspiring match (and tournament) of Stan Wawrinka to watch! The man has always put his best tennis out there in every single match, and to be able to witness his play was such a delight. 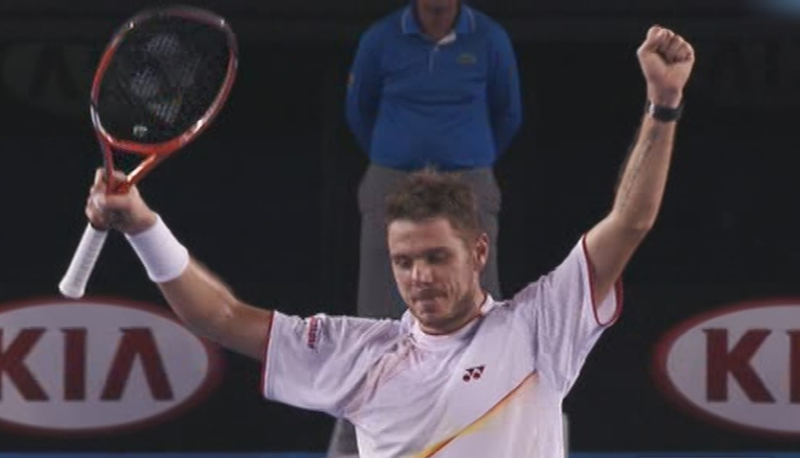 Hats off to #Wawrinka for winning his first #GrandSlam title! He started with a great aggressive strategy that put Nadal off his game, which could have led to Nadal’s injury. So, very well played! Commiseration, though, to Nadal. But what a fighter, who never gave up, even when he was suffering and hampered by what looked like an acute back problem, which affected his game. And even though he was clearly in pain, like a top pro he is, he played on, gave the Melbourne crowd a final to remember and managed to win the third set! I think that just shows how great a player, not just competitor, Nadal is. So, roll on Rolland Garros, and let’s hope Nadal recovers in time to defend his title. In 2011, I wrote the somewhat controversial blog post “Federer needs to solve Rafa puzzle to secure legacy“. In it, I pointed out that Federer was undoubtedly the greatest player to have played the game of tennis. I’m happy to say that my humble view was generally shared by a panel of former tennis greats such as Pete Sampras, Bjorn Borg, John McEnroe and Boris Becker, and tennis presenters and commentators, like Sue Barker and Andrew Castle. The only other player considered as possibly the ‘Greatest’ was Rod Laver, an Australian who most tennis lovers, today, including myself, may have never seen play live. But from reports, Laver was phenomenal and he twice won all four majors in a year. Even more amazing was that for 5 years, he was barred from playing the majors because he had turned professional while the majors remained an amateur competition. No doubt, this prevented him from adding to his eventual tally of 11 Gram Slam titles. On the all-time list of most Grand Slam titles, he’s fifth behind Federer (17), Pete Sampras (14), Nadal (13) and Roy Emerson (12). In the following YouTube video, you can just imagine how good he was, given that he was holding his own against a sprightly 20 year old Bjorg while he was already 38! But back to my piece. In it, I proposed that given Nadal’s dominance over Federer, not just on the clays of Roland Garros but on the grass of Wimbledon and the hard courts of Flushing Meadows, Roger’s time as “World’s Best Ever” was surely being rundown by the relentless, yet gracious, Manorcan. Today, a rejuvenated Federer again lost to Nadal, in the eagerly awaited Australian Open semi-final, 7-6 (7-4) 6-3 6-3. And that was with Nadal sporting a blister on his racquet hand! The last time Federer beat Nadal in a Grand Slam was on his preferred surface of Wimbledon in 2007. Since then, he has lost on every surface, including grass. Amazing! Now back to the panel. Among those polled for their views, how ironic it is that it was only Pete Sampras, the person dethroned by Federer at the top of the all-time Grand Slam winners list, who mentioned Nadal’s name, but not as the “Greatest Player Ever” – that was bestowed on Federer. If Federer is to secure his legacy and remain the “World’s Greatest Player”, he’ll have to win a few more titles and at least 1 or 2 will need to be on the clays of Roland Garros against the enigma that is Rafael Nadal. Otherwise that legacy that was once thought of as Federer’s, will most certainly pass on to become Nadal’s.